Who says that a multi-functional and user-friendly car diagnostic code scanner has to cost a lot to be good? Whether you are a professional technician or an amateur auto mechanic like me, a $69 iOBD2 code scanner will be the only tool you need. This is a great choice for anyone who is tired of buying a dozen of code readers for different car makes and models or someone who just want to make their auto diagnoses easier. 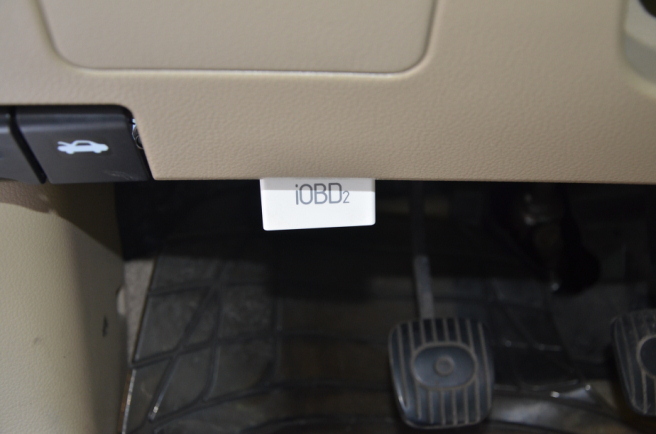 iOBD2 code scanner is able to work with almost all the vehicles built after 1996. 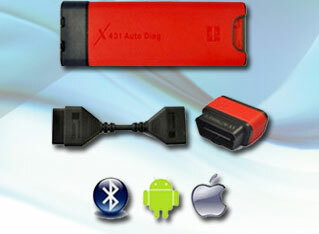 It makes it possible for mechanics to troubleshoot on their iPhones or Android phones via Bluetooth. The way it improves your auto repair experience is genius. 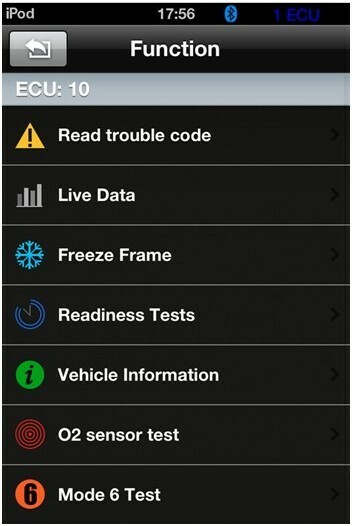 You can diagnose vehicles as long as you have a smart phone and internet access, rather than taking it to your garage for every simple troubleshooting. It is obviously that designers of this OBD2 scanner have take customer feedback seriously. 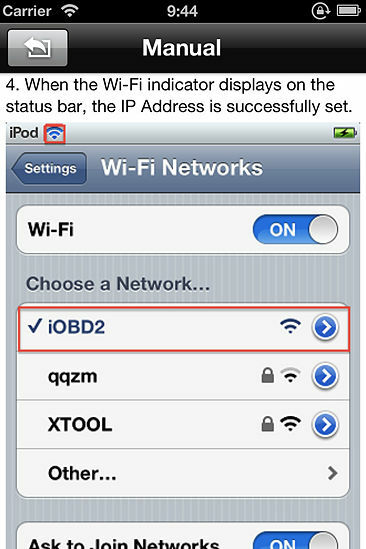 What can iOBD2 code scanner do? 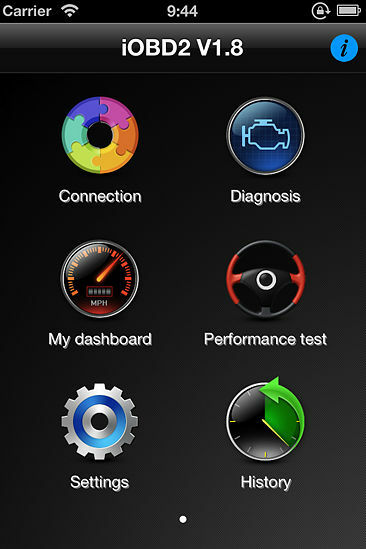 When Check Engine light comes on, iOBD2 code reader will help you to retrieve fault codes from the engine system in only a few minutes. This works for most vehicles with ISO15765-4 (CAN), ISO14230-4 (KWP2000), ISO9141-2, J1850 VPW or J1850 PWM protocols. 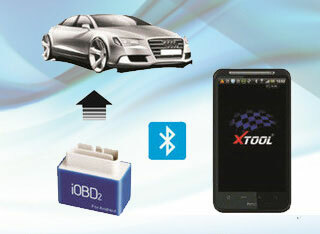 The iOBD2 scanner allows you to know what the DTCs mean instantly. 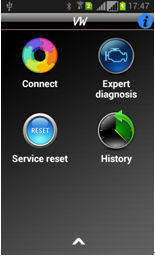 It will make it easy for you to carry out further diagnoses and repair services. This OBD2 scanner provides guides and tips on how to solve the problems and maintain the vehicle according to the trouble codes. It provides you access to the on-board oxygen sensor monitoring test results. The device enables you to learn if the evaporative emission system and all the components are working properly at this time. iOBD2 scanner features a driving track function, which shows the driving track of a vehicle to give data and foundation for reference. 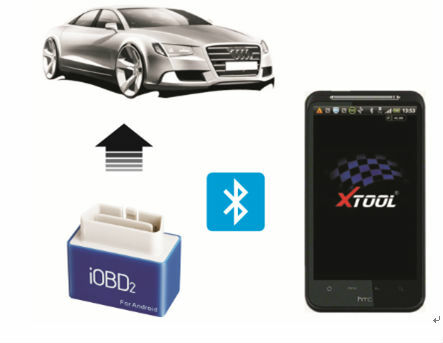 Open the Location Services of the mobile, connect iobd2 to the vehicle, start up iobd2 APP, choose “My Dashboard”, and it will record the track of the vehicle. Quit “My Dashboard” then it will stop recording the track of the vehicle. 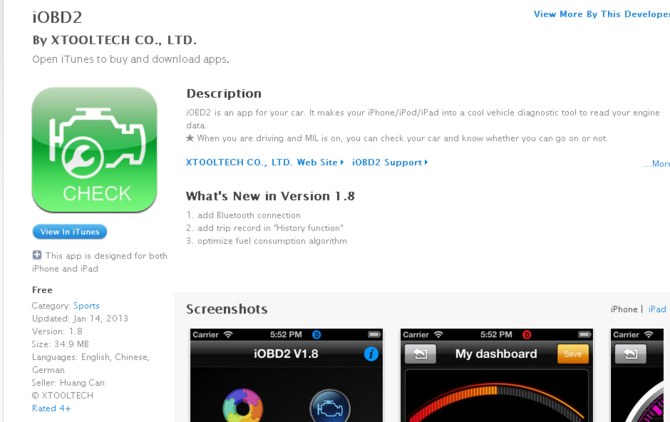 Setps To use iOBD2 with Iphone to diagnose your car, it also can be used in Android system. 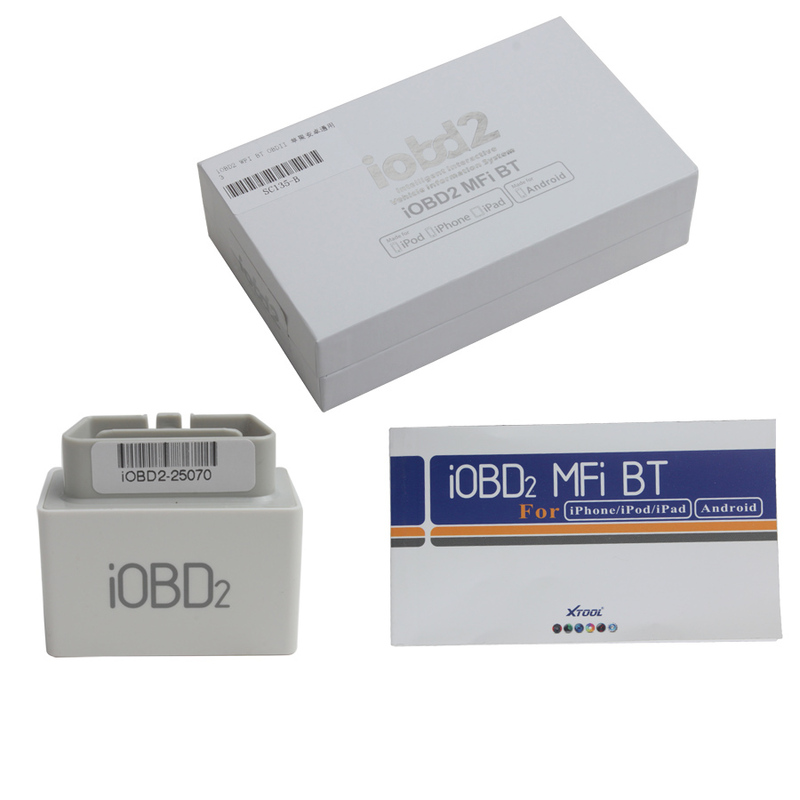 1.Plug the iOBD2 into the OBD connector on the car. Remember to check whether it is connected firmly. 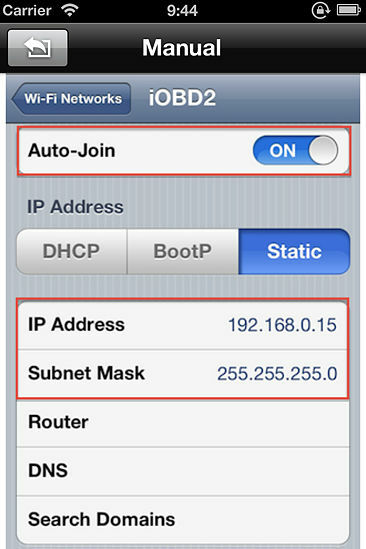 2.Download the free iOBD2 app from APP store on your iPhone. 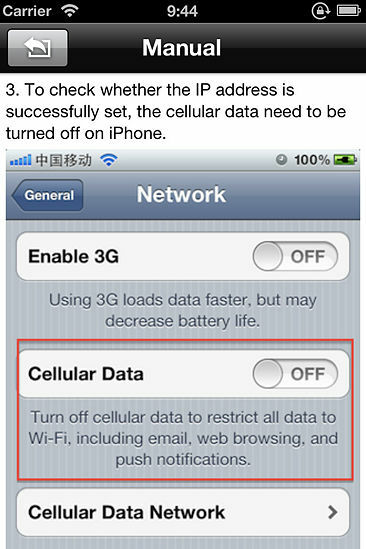 7.Turn off the cellular data on iPhone to check whether the IP address is set successfully. 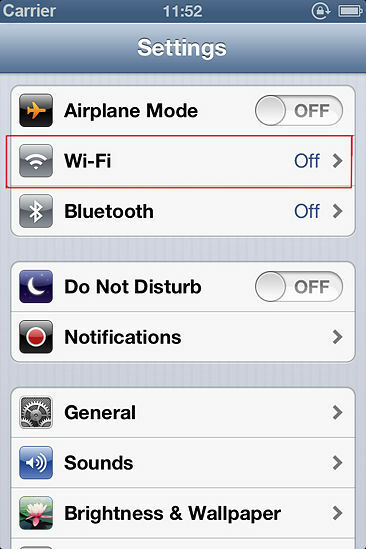 The IP address is set when the Wi-Fi indicator displays on the status bar. 8.Turn the ignition on. 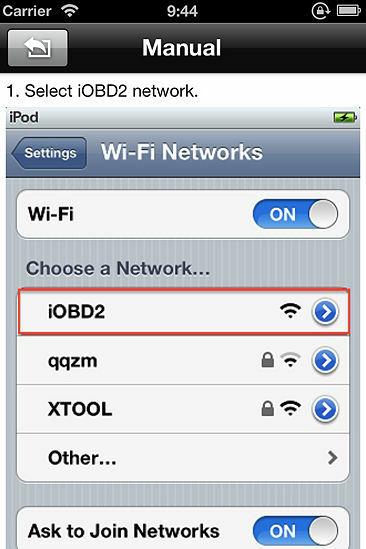 Then open the iOBD2 app and press connection button to select the car model to connect iOBD2 with the car. 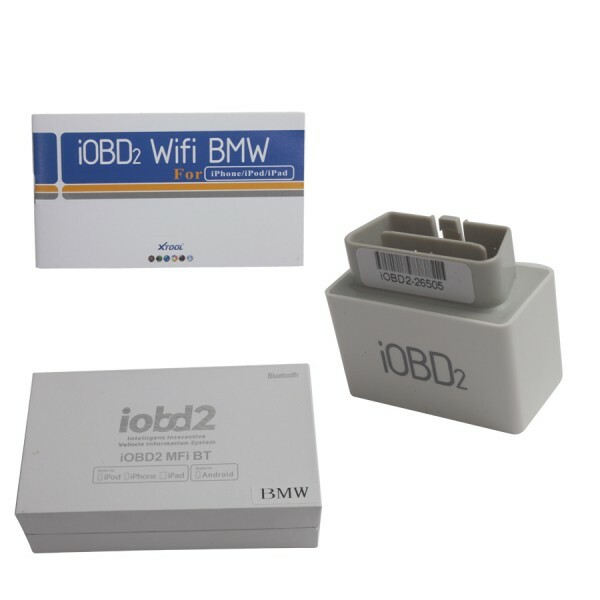 iOBD2 for iPhone is a vehicle diagnostic tool and it communicates with these smart phones by WIFI. It supports OBDII/EOBDII. 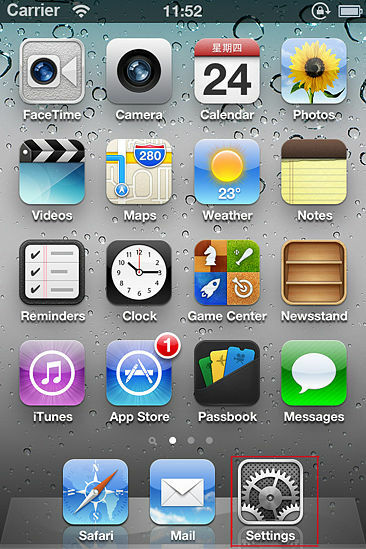 It records the data by the client software of the phone. It records data like engine speed, ignition time, fuel correction, fuel consumption, coolant temperature, when you are driving the car and it shows these data by form or graph format.